Most people are familiar with the gorgeous yellow and amber colors typical of honeycomb and beeswax. But another bee-produced substance exists and it doesn't get discussed quite as much – propolis. Propolis is a resinous material that bees use to seal small cracks and gaps in the hive (beeswax seals the larger gaps). 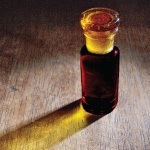 It's made when bees collect resin from trees and other sources and mix it with a little bit of honey. 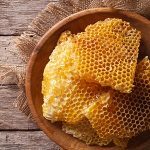 Like its cousin, beeswax, propolis has been found to offer numerous health benefits, and many researchers are looking into its role for various therapeutic uses. In ancient cultures, propolis (or bee resin) was often used for abscesses and minor wounds. Bees, in an effort to close gaps in hives, use propolis as a precautionary measure to keep out dangerous microbes and fungi. 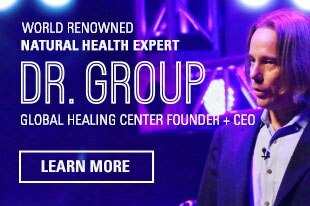 Recent findings have confirmed its potent action against many harmful pathogens and more research has established its enormous healing benefits. Here are some of the researched uses and health benefits of propolis. Diabetes is an issue that affects millions of adults and children. 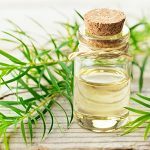 It is often approached with life-long treatment measures, such as insulin injections and pharmaceutical medications. Studies have shown that propolis may inhibit enzymes that increase blood sugar. It is believed that the antioxidant compounds in propolis are responsible for its blood sugar-stabilizing benefits. Propolis is often sold in capsule or tincture form, and some natural toothpastes will contain it instead of fluoride. While many people can safely use propolis as a complementary approach toward health, some may experience allergic reactions. It is always best to test a small amount of the mixture in conjunction with careful physician monitoring before supplementing, especially if you have allergies. 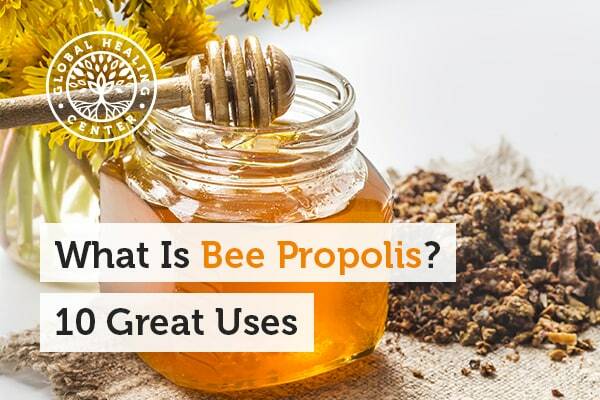 What are your experiences using propolis? Share them with us in the comments! MedlinePlus. Propolis. U.S. National Library of Medicine and National Institute of Health. Sforcin JM. Propolis and the immune system: a review. J Ethnopharmacol. 2007 Aug 15;113(1):1-14. Matt Walker. Honeybees sterilise their hives. BBC Earth News. Thursday, 23 July 2009. Al-Waili N, Al-Ghamdi A, Ansari MJ, Al-Attal Y, Salom K. Synergistic effects of honey and propolis toward drug multi-resistant Staphylococcus aureus, Escherichia coli and Candida albicans isolates in single and polymicrobial cultures. Int J Med Sci. 2012;9(9):793-800. doi: 10.7150/ijms.4722. Cushnie TP, Lamb AJ. Antimicrobial activity of flavonoids. Int J Antimicrob Agents.Int J Antimicrob Agents. 2005 Nov;26(5):343-56. Qiao Z, Chen R. Isolation and identification of antibiotic constituents of propolis from Henan. Zhongguo Zhong Yao Za Zhi. 1991 Aug;16(8):481-2, 512. Gregory SR, Piccolo N, Piccolo MT, Piccolo MS, Heggers JP. Comparison of propolis skin cream to silver sulfadiazine: a naturopathic alternative to antibiotics in treatment of minor burns.J Altern Complement Med. 2002 Feb;8(1):77-83. Girgin G, Baydar T, Ledochowski M, Schennach H, Bolukbasi DN, Sorkun K, Salih B, Sahin G, Fuchs D. Immunomodulatory effects of Turkish propolis: changes in neopterin release and tryptophan degradation. Immunomodulatory effects of Turkish propolis: changes in neopterin release and tryptophan degradation. Jo SY, Lee N, Hong SM, Jung HH, Chae SW. Caffeic acid phenethyl ester inhibits diesel exhaust particle-induced inflammation of human middle ear epithelial cells via NOX4 inhibition. Ann Otol Rhinol Laryngol. 2013 Sep;122(9):595-600. Possamai MM, Honorio-França AC, Reinaque AP, França EL, Souto PC. Brazilian propolis: a natural product that improved the fungicidal activity by blood phagocytes. Biomed Res Int. 2013;2013:541018. doi: 10.1155/2013/541018. Khosravi AR, Shokri H, Nikaein D, Mansouri P, Erfanmanesh A, Chalangari R, Katalin M. Yeasts as important agents of onychomycosis: in vitro activity of propolis against yeasts isolated from patients with nail infection. J Altern Complement Med. 2013 Jan;19(1):57-62. doi: 10.1089/acm.2011.0722. Vynograd N, Vynograd I, Sosnowski Z. 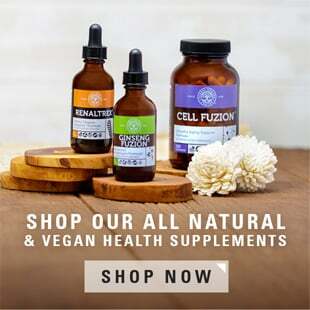 A comparative multi-centre study of the efficacy of propolis, acyclovir and placebo in the treatment of genital herpes (HSV). Phytomedicine. 2000 Mar;7(1):1-6. Pereira RR, Ribeiro Godoy JS, Stivalet Svidzinski TI, Bruschi ML. Preparation and characterization of mucoadhesive thermoresponsive systems containing propolis for the treatment of vulvovaginal candidiasis. J Pharm Sci. 2013 Apr;102(4):1222-34. doi: 10.1002/jps.23451. Tanasiewicz M, Skucha-Nowak M, Dawiec M, Król W, Skaba D, Twardawa H. Influence of hygienic preparations with a 3% content of ethanol extract of Brazilian propolis on the state of the oral cavity. Adv Clin Exp Med. 2012 Jan-Feb;21(1):81-92. Coutinho A. Honeybee propolis extract in periodontal treatment: a clinical and microbiological study of propolis in periodontal treatment. Indian J Dent Res. 2012 Mar-Apr;23(2):294. doi: 10.4103/0970-9290.100449. Gomaa OM, Gaweesh AS. Variation in adhesion and germ tube formation of oral Candida using Egyptian propolis. Can J Microbiol. 2013 Mar;59(3):197-203. doi: 10.1139/cjm-2012-0374. Oršoli? N, Sirovina D, Gajski G, Garaj-Vrhovac V, Jazvinš?ak Jembrek M, Kosalec I. Assessment of DNA damage and lipid peroxidation in diabetic mice: effects of propolis and epigallocatechin gallate (EGCG). Mutat Res. 2013 Sep 18;757(1):36-44. doi: 10.1016/j.mrgentox.2013.04.022. Kang LJ, Lee HB, Bae HJ, Lee SG. Antidiabetic effect of propolis: reduction of expression of glucose-6-phosphatase through inhibition of Y279 and Y216 autophosphorylation of GSK-3?/? in HepG2 cells. Phytother Res. 2010 Oct;24(10):1554-61. doi: 10.1002/ptr.3147. Hsu TH, Chu CC, Hung MW, Lee HJ, Hsu HJ, Chang TC. Caffeic acid phenethyl ester induces E2F-1-mediated growth inhibition and cell-cycle arrest in human cervical cancer cells. FEBS J. 2013 Jun;280(11):2581-93. doi: 10.1111/febs.12242. Liu CC, Hsu JM, Kuo LK, Chuu CP. Caffeic acid phenethyl ester as an adjuvant therapy for advanced prostate cancer. Med Hypotheses. 2013 May;80(5):617-9. doi: 10.1016/j.mehy.2013.02.003. Frozza CO, Garcia CS, Gambato G, de Souza MD, Salvador M, Moura S, Padilha FF, Seixas FK, Collares T, Borsuk S, Dellagostin OA, Henriques JA, Roesch-Ely M. Chemical characterization, antioxidant and cytotoxic activities of Brazilian red propolis. Food Chem Toxicol. 2013 Feb;52:137-42. doi: 10.1016/j.fct.2012.11.013.